Offline messages exist to give users the possibility to submit their request when the chat is busy or when no operator is online. To allow offline messages, you should first ensure that the option “Hide chat popup when operators are offline” has been disabled. 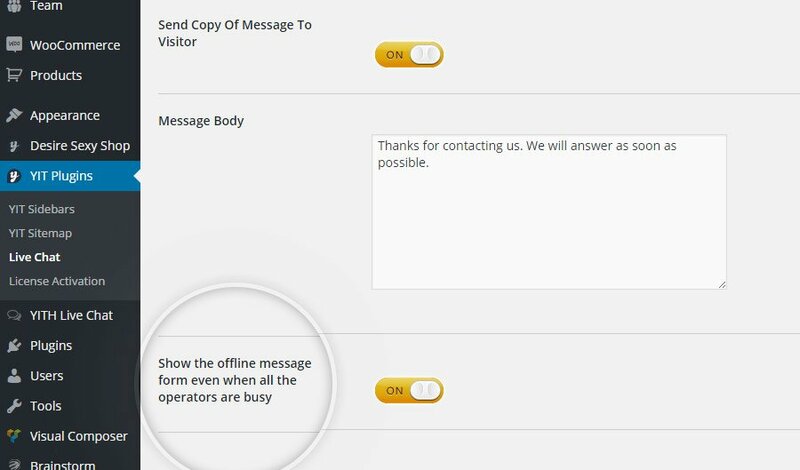 On the contrary, if you want that the form is available when operators are busy, enable the option “Show the offline message form even when all the operators are busy”. The form appears as in the following image. In the Recipients’ E-mail option, you can specify the email address you want to use as sender of your emails. If you want to use more than one address, add them and separate them with commas (e.g., [email protected],[email protected]). 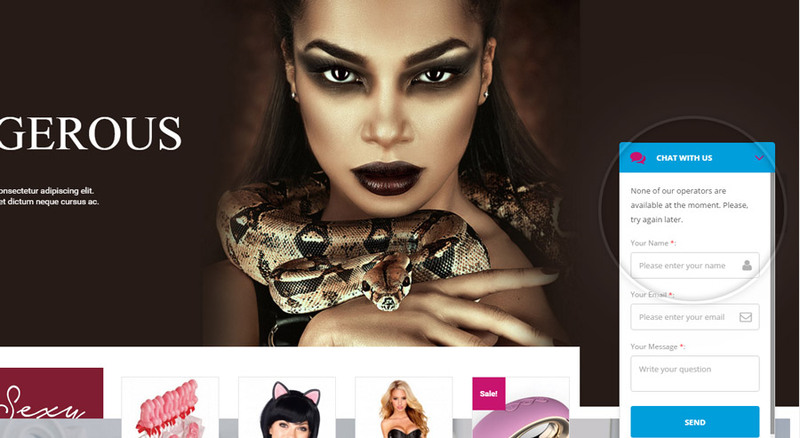 All the offline messages written by your users will be sent by the email you have set in Sender’s E-mail. Be sure to use a valid email address in order to receive correctly the messages. If you want to send an email as automatic response to the user that sent an offline message, activate the Send Copy Of Message To Visitor option and add your message in Message Body field. Here follows an example. 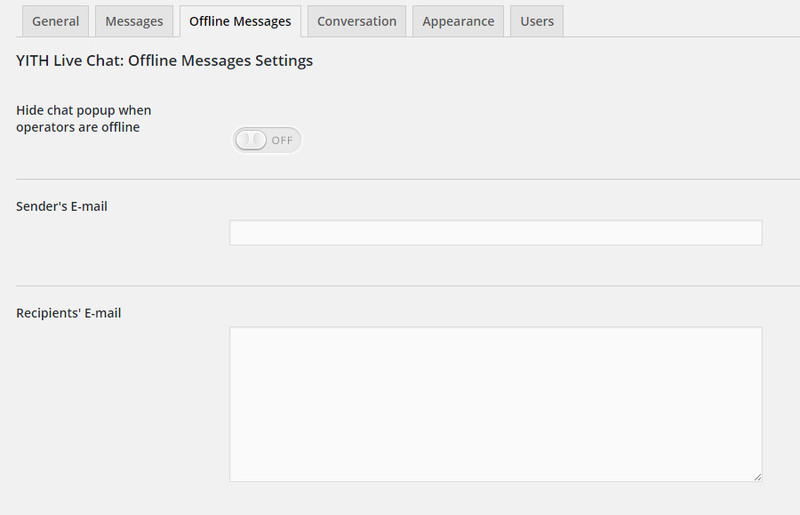 Offline messages sent to users are also stored in “YITH Live Chat > Offline Messages”.